Cute, cuddly, irresistable canines. 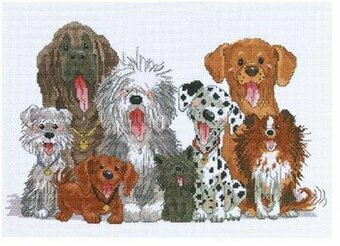 This group of 'Man's best friend' is certainly a happy lot and would be welcomed by any dog lover! 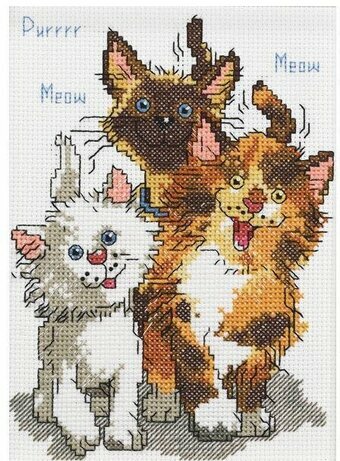 This Counted Cross Stitch design is by Suzy Spafford. Made under license from Suzy's Zoo. Each kit contains 14-count white cotton Aida fabric, 6- strand cotton floss, needle, graph, and instructions. Size: 15" x 10" (38,1 x 25,4 cm).